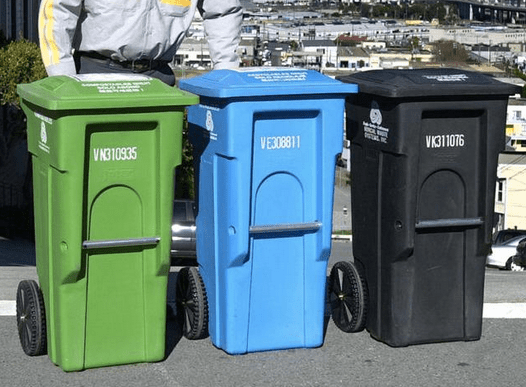 ** Okay, okay….. gender-neutral pronouns are useful anywhere you go. 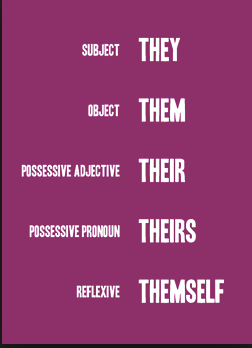 I know it takes time to get used to, but at the least — let’s gain an acceptance of these pronouns even if there’s some fumbling around with their usage at first. 4. 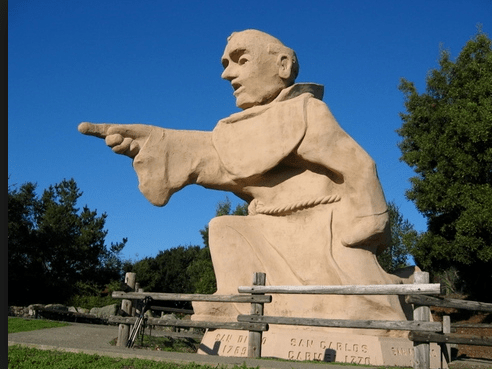 Contrary to what the goofy statue on Highway 280 may lead you to believe, Father Junipero Serra was a kind of an a-hole. See that statue on Highway 280? That’s Father Junipero Serra. (NON) Animated gif: Add the Native American dead bodies statues below the Junipero Serra statue. 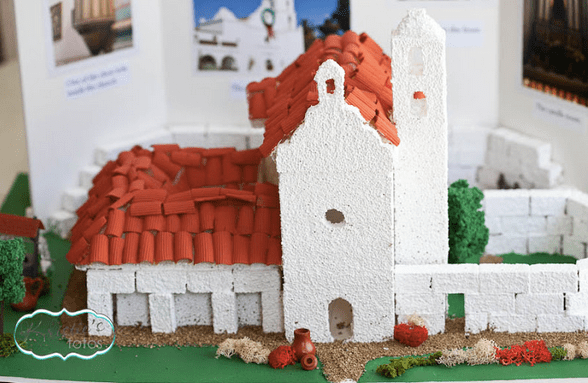 * Fun California-Only Fact: All of us had to build miniature missions in the 4th grade in honor of Father Junipero Serra and all of his great deeds. Kind of like this one. 5. 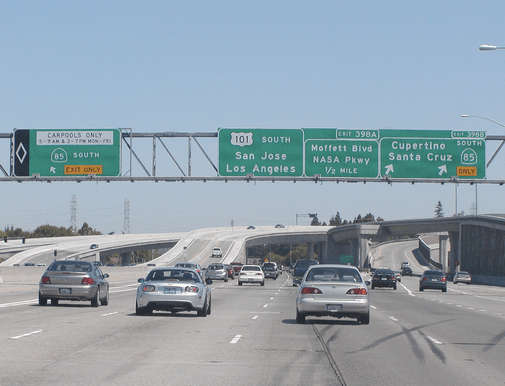 Speaking of Highway 280….. 280 > 101. You are stuck in Bay Area rush hour traffic. Which view would you prefer? View A or B? 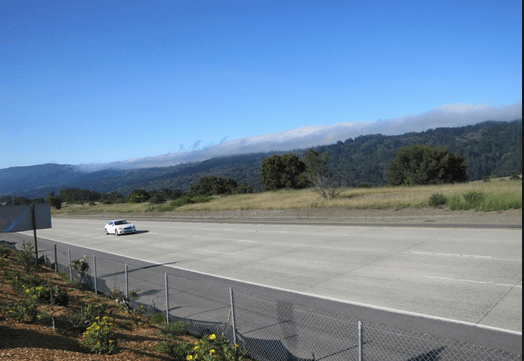 Only a crazy person would choose View B, aka – Highway 101. As a semi-crazy person, I drive 101 often, because it’s the straightest shot down to where I usually go. However, when given the choice of two equidistant drives, I would far prefer View A – aka – Highway 280. Animated gif: A close-up of an angry techie shaking their fists on Highway 101 as they travel 2 miles per hour down to their job at Apple/Adobe/Facebook. PS: Photo credits from all over. 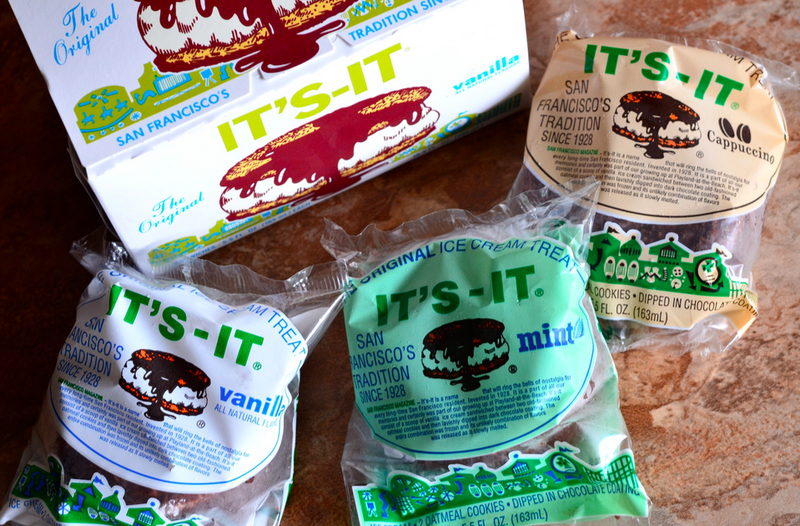 I totally stole these off random sites. One was from Yosemite Family blog. I am sorry because I really forgot to pay attention to photo credits. If you took one, tell me so I can credit you, and please don’t sue me.